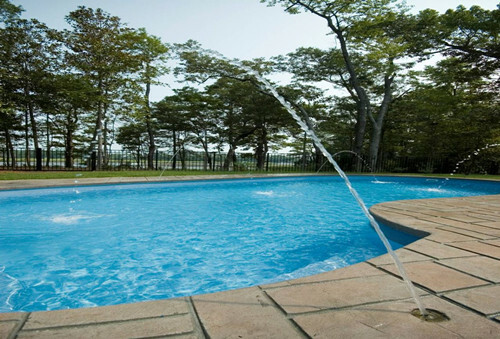 Homeowners take pride in having a swimming pool. No wonder they feel an overwhelming desire to have it remodeled every time walking into the backyard. 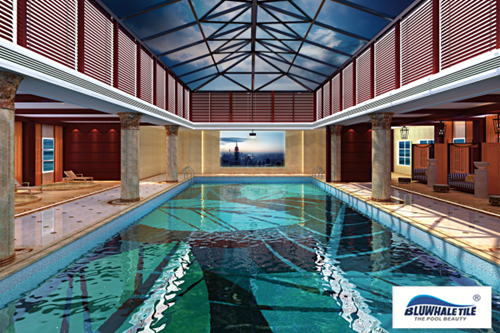 The swimming pool should integrate into the general design of your housing. And as it serves as the main focus of your backyard scenery, no flaw is allowed to appear. If your swimming pool looks aging as time goes by and no effort taken for its renewal; cracks on the pool surface are too big to overlook; pool tile pattern doesn’t catch up with the trend, then you’re regarded not an eligible pool owner. Are you ready to regain your confidence? This article is intended to help you understand why you should remodel your swimming pool, and provides you some popular and cheap remodeling ideas. After years of running, problems such as leaking, worn-down surface, blocked filter and poor circulation might occur and exert bad impact on your swimming experience. Make up the leaking hole; have a swimming pool refinishing; clean the filter and fix the circulation system. 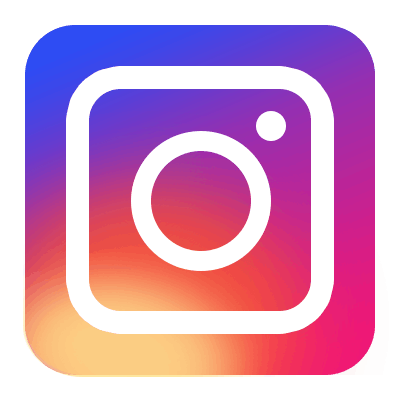 These are the small issues that could be solved out with regular check-up and repair, but once situation get worse, instant remodeling measures have to be taken into account. Innovation of fundamental equipments is worth your investment. 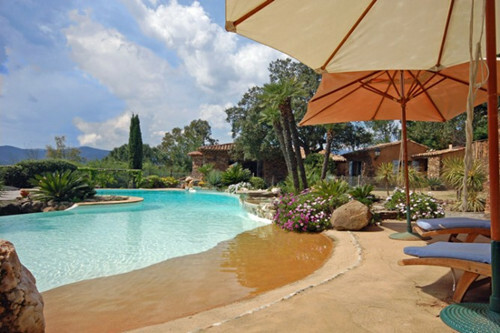 Future pool maintenance will be less costing if your pool facilities function smoothly. A solar pool cover can absorb sunlight for electric use. The converted power can serve as a major source of heat, which will greatly reduce your heating bill. Some eco-friendly lovers are very keen on converting traditional pool into a natural pool, which use natural stone and clay instead of concrete and accommodate green plants rather than harmful chemical additives and mechanical filtering system. This is a pool remodeling way that gain increasing popularity among pool owners, for maintaining pool in an organic environment doesn’t cost much. Pool safety is the primary consideration of everyone, and remodeling can help you with this. It’s without dispute that simmers would feel secured when knowing everything around the pool functions smoothly because it’s checked and updated. Especially, kids and elders have higher possibility of drowning. Remodeling pool with a fence built around can prevent accidental hurt. The fence should be departed from your house and stands at least four feet tall. Additionally, an motion swimming alarm can be installed underwater in case kids or elders have a leg cramp while swimming. Pool styles changes with the times. A demoded look can greatly affect the overall aesthetic value of your property. Remodeling is good for the visual update of your pool area and makes it a more pleasure place to relax in. There are mainly two types of waterline tile. One is called border tile, the other is vinyl liner. Border tile is more durable and usually made of porcelain, ceramic, glass, mosaic. It’s time and money consuming than vinyl liner because to replace a circle of border tiles, pool owners need to pull down the existent before plastering the new on the wall. 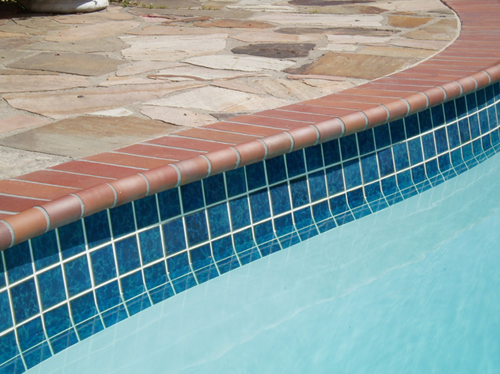 Vinyl liner is a kind of sticker, which is very easy to post and usually applied to cover stains and dirty spots on the pool surface temporarily. 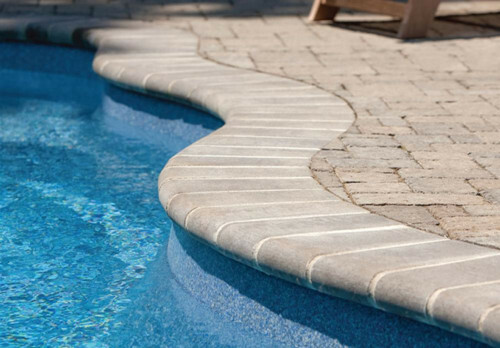 However, it seems like a fake border tile so that not every pool owners would like to choose. Both varies in a great amount of patterns and colors. For more waterline pool tile ideas, you can search some tile companies online and ask for advice. 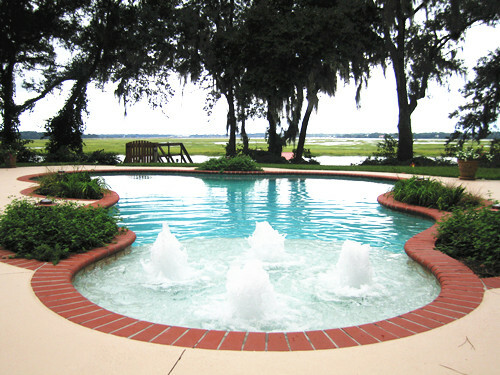 To keep the general design simple, pool coping varies less in the amount of patterns and colors. It possess an primary performance to avoid accidental hurt from slip-down. There are two main types of pool bottom art. One is made of mosaic or porcelain tile, the other is directly painted. The first one is more durable and colorful than pool paintings, and looks nicer when water filled up. Swimming pool art is an innovative way to create a fancy underwater world. 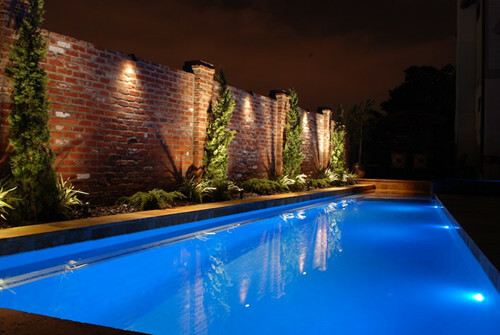 A lighting pool is significant for after-work swimming lover. LED lighting guide you wondering around the pool area in case you can’t see clearly at dark. It’s a safety measure to protect you from accidental hurt when you’re walking on the deck and swimming in the pool. Furthermore, it’s an embellishment that can create a fantasy scenery and romantic mood. Supersizing your swimming pool with a hot tub would enhance the beauty of your pool area. It’s one of the best pool area remodeling projects to give you therapeutic benefit. Spa, also named as hydrotherapy or warm water therapy, possesses three vital therapy elements: heat, buoyancy and massage, which interlaced together to offer you a relaxing environment. Deck jet is the element that can make lifelike details on the pool. Deck jet is a facility that shoot streams of water from the deck to the pool. A deck jet called laminar jet can create dramatic effect with fiber-optics added. To prevent shooting water sprinkle and wet the walkway, wind sensors can be installed to shut off the jets when winds go over 5 mph. There are general three main types of pool entry- ladders, sunbath shelf and beach walk-in. Glass mosaic tiles, natural stone, porcelain/ceramic tiles are the popular materials that you can use to design your pool entrance. Fountain bubbler protrudes upward like mini-geysers and are usually built into a pool’s shallow sun ledge. Kids are very fond of this design. It accommodates perfectly in almost all types of pools and are fairly inexpensive. For more pool remodeling ideas, welcome to visit pool tile professional BluwhaleTile at http://www.bluwhaletile.com. We provide a great variety of pool tiles made of porcelain, ceramic, glass, mosaic, stone, etc that make less costing for your pool remodeling project.